So you bought (or grew) that gorgeous spaghetti squash and there it is on the counter. Now what?! Eat it. 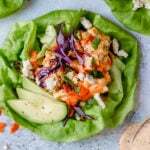 It’s delicious and easy to make. Once you get over the awkwardness of cutting it you’re pretty much home free. And soon you’ll be enjoying a big bowl of tender spaghetti-like strands that you can feel good about eating (and feel good after eating it). 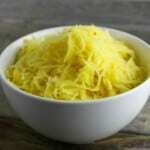 Spaghetti squash has become all the rage lately as a low-carb alternative to pasta. And for good reason. 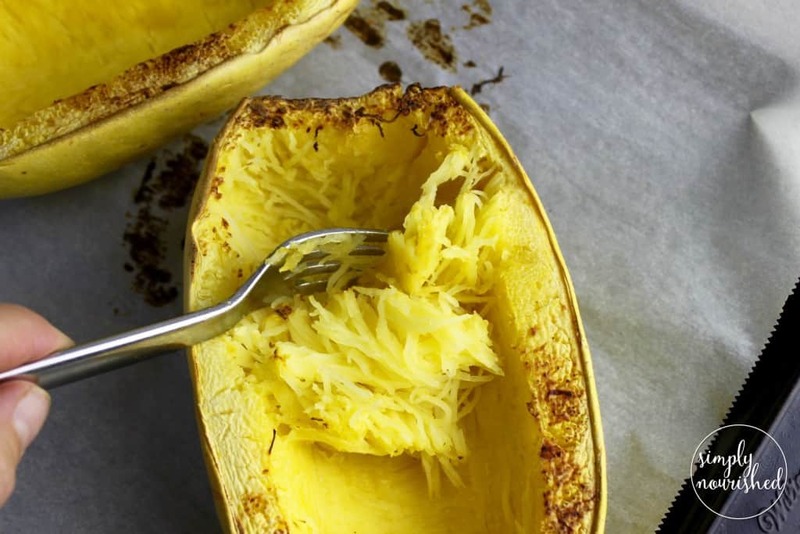 Roasted spaghetti squash not only tastes fantastic but it clocks in at just 45 calories and 10 grams of carbohydrates per cup (that’s 75% fewer calories and carbs than a cup of whole wheat pasta). Plus it’s low in sodium and is a good source of vitamin C, beta carotene and fiber. 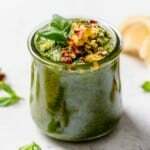 You can use roasted spaghetti squash in place of pasta topped with your favorite chunky marinara, a bright and flavorful pesto or a creamy mushroom sauce. 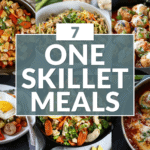 Or just toss it with with some really good olive oil, garlic and freshly grated parmesan cheese for a healthier twist on a comfort food classic and an easy side dish. 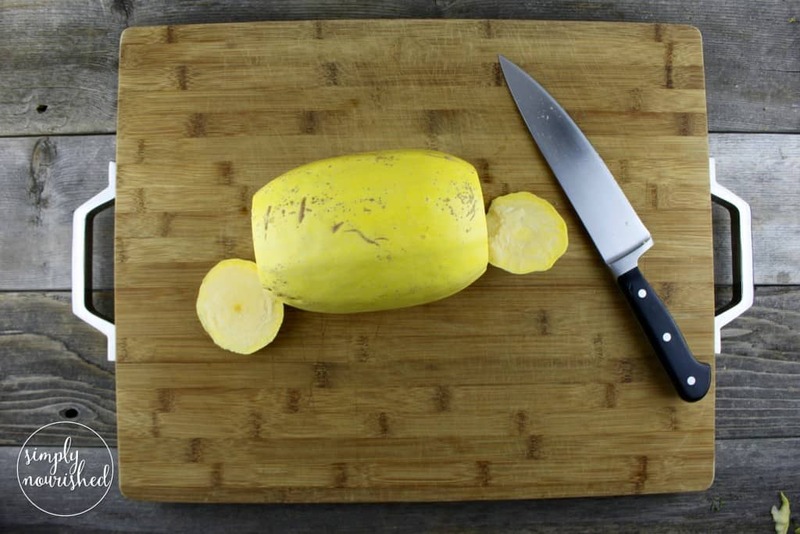 There are basically 3 ways to cook a spaghetti squash: roast, steam or boil and microwave. 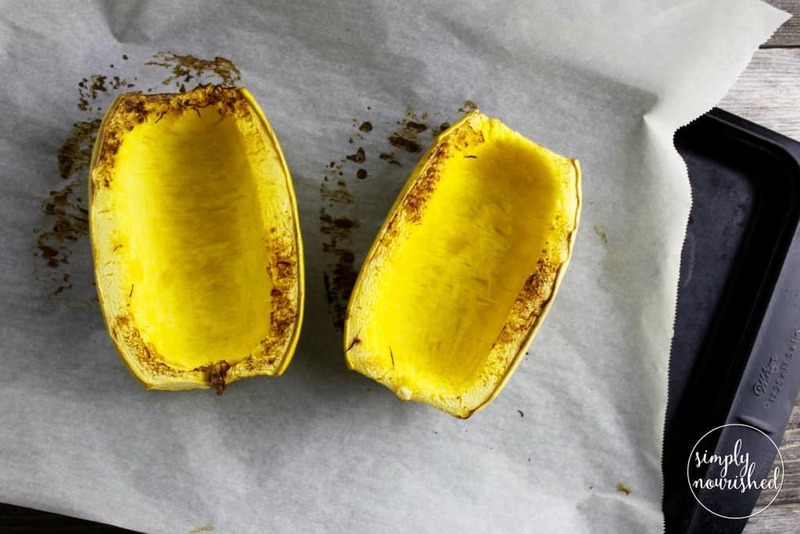 Today we’re going to show you how to make the best spaghetti squash – by roasting it. Roasting it in the oven without any added water allows the cut edges to caramelize slightly and means your sauce or other toppings won’t get waterlogged. 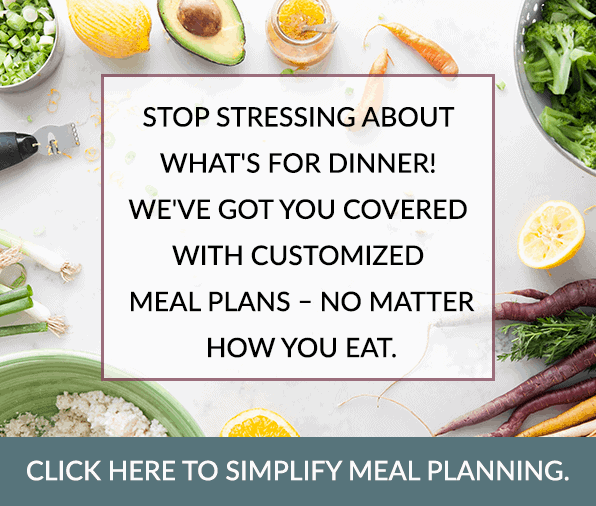 You’ll see recipes for placing the cut squash face down in a pan with water and although it gets the job done, we find it to be a little soggy and lacking in flavor as compared roasting it. This may seem painfully obvious but this is probably the hardest part of the whole process. 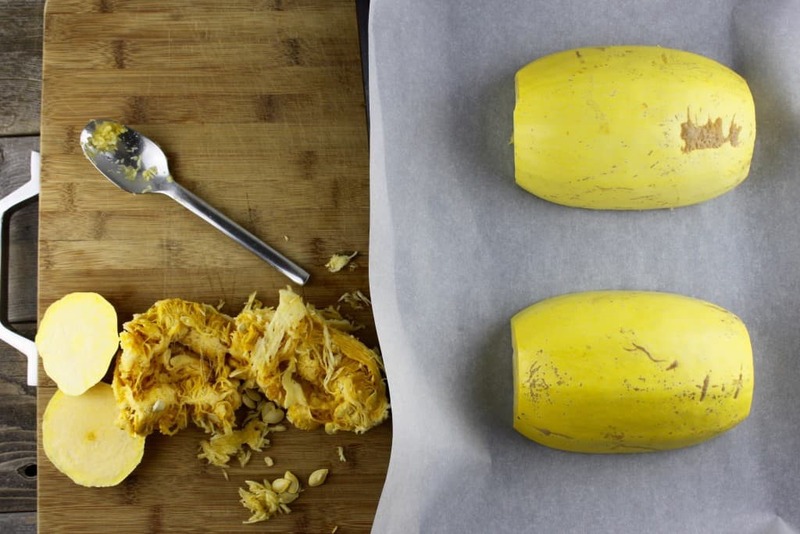 You’ll want to start by washing and drying the squash and then carefully slicing off each end, like the photo below. This gives you a stable base to be able to stand the squash up on it’s end so you can safely cut it in half from top to bottom, or lengthwise. With the squash standing on end, use a large knife to cut down the middle. Be sure to position your hand on top of the squash to hold it steady, being careful not to cut yourself. This takes some muscle. 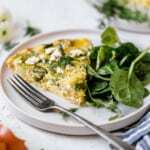 You may need to place a folded dish towel between your hand and the end of the blade (where you’ll need to also apply some pressure) if your knife isn’t very sharp and you have to apply loads of pressure to cut through it . 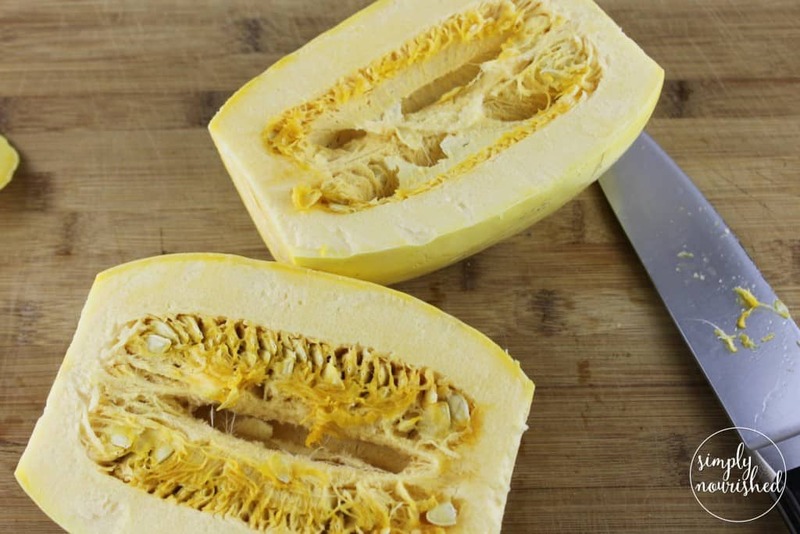 To make your squash easier to cut, you can place the whole spaghetti squash into a 350°F oven for 10 minutes or microwave it on high for 5 minutes. Allow the squash to cool slightly before cutting. Scoring the outside of the squash with a sharp knife from top to bottom on each side before placing it in the oven or microwave should also make it easier to cut and you’ll have a guide to follow when it comes time to cut. Use a large spoon to scoop out the insides then place the squash cut-side down on a large baking sheet lined with parchment paper. Feel free to sprinkle the cut side of the squash now or wait until you’re ready to dress it up and serve. 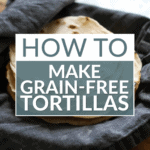 Step 3 – Bake in a preheated 350°F oven for 30-40 minutes or until tender. Cooking time will depend on your oven and the size of your squash. Remove pan from the oven and allow squash to cool slightly. 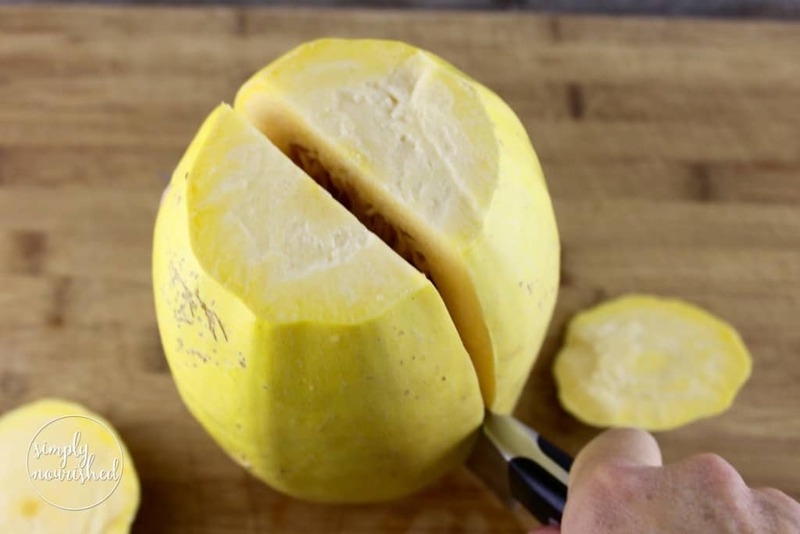 Use a fork to scrape the inside of the squash from top to bottom to form tender strands of “spaghetti”. Season with salt and pepper or top with desired toppings and enjoy. Leftovers squash can be stored in a covered container in the fridge for up to 4 days. 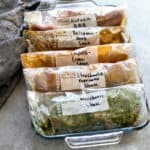 For longer storage, place cooled squash into zip-top freezer bags or lidded containers and freeze. Thaw partially before using (either in the fridge or by running the bag under warm water), then steam 5-7 minutes to reheat. Bake 30-40 minutes or until squash is tender. Baking time will depend on the size of your squash, larger squash requiring a longer cook time. 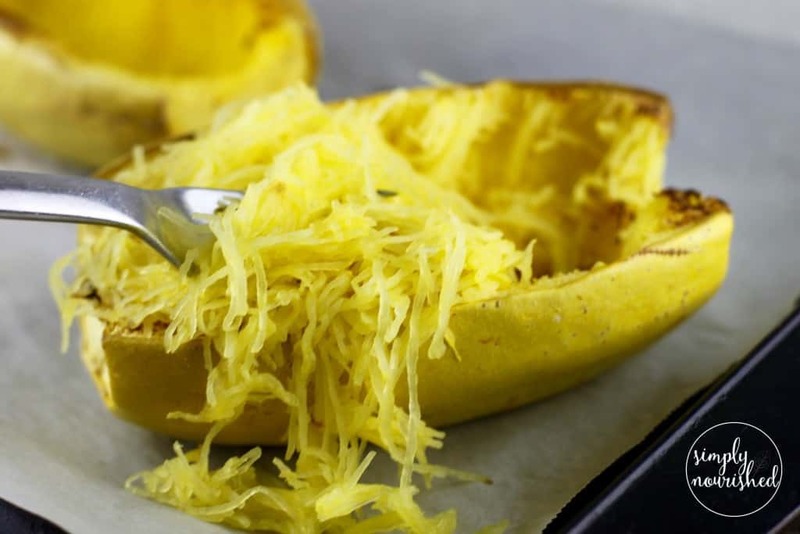 What’s your favorite way to enjoy spaghetti squash? 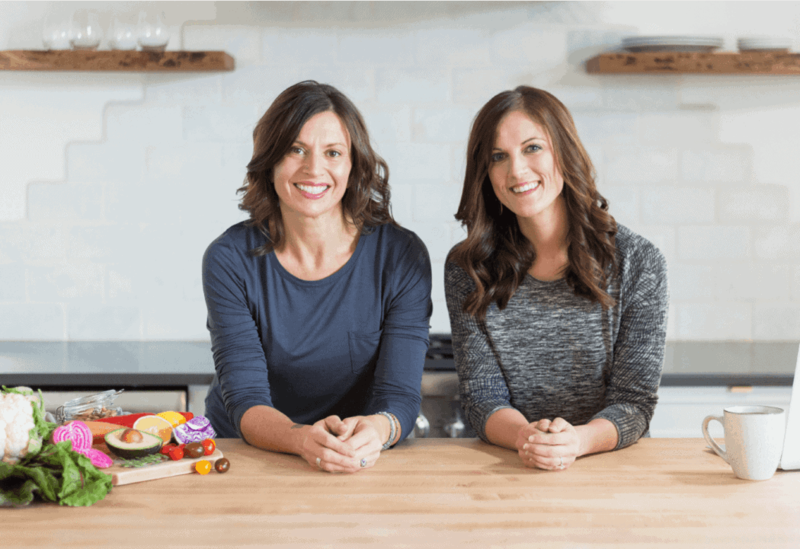 Share in the comments below – we love to hear what you’re cooking. 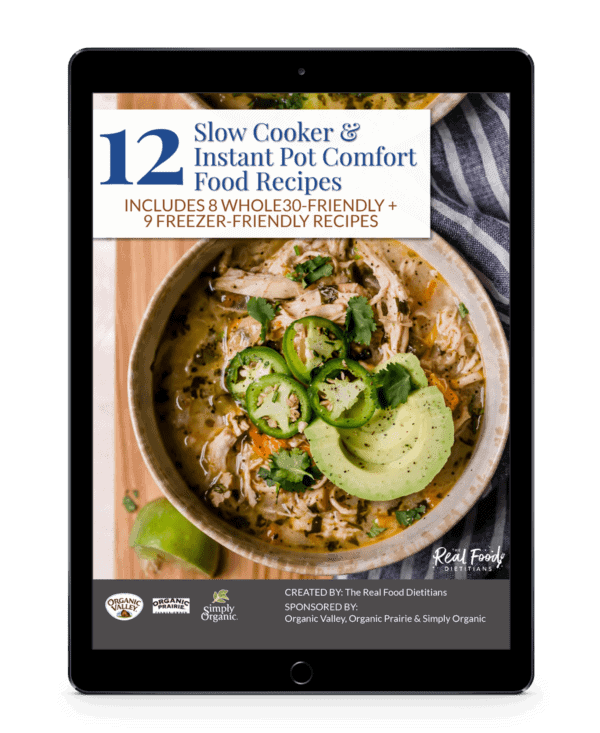 How do I cook spaghetti squash in the instant pot? 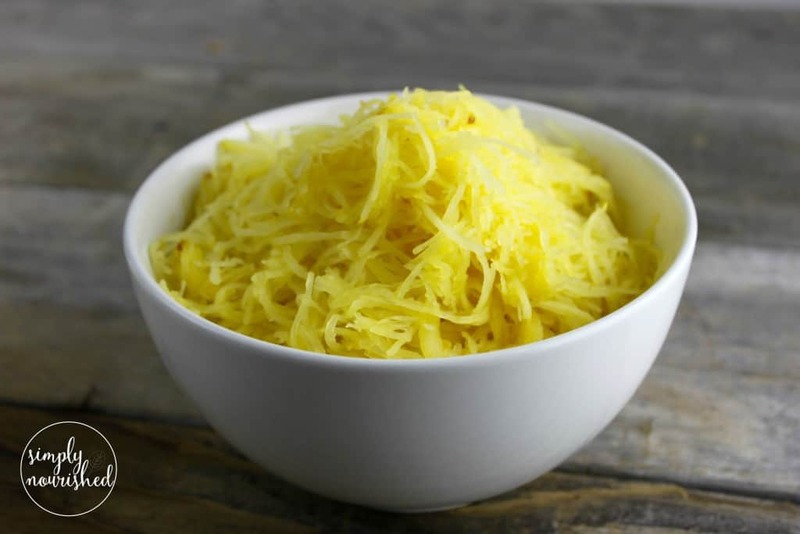 You can cook the spaghetti squash in the Instant Pot by slicing it lengthwise, removing the seeds and placing it inside the pot on the rack with 1 cup of water in the bottom. Select ‘Manual’ or another high-pressure setting and adjust cook time accordingly. I have found that a 3lb. squash needs anywhere from 15-18 minutes on average.